Over the decade-long journey from their first incarnation as 13 and 14 year old kids in Fort Worth, Texas to the upcoming release of their latest EP, "Chasing Down the Wind," Green River Ordinance has evolved steadily. 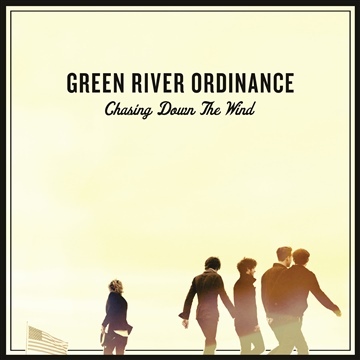 "Chasing Down The Wind" features the continued growth of Green River Ordinance's honest, hopeful songwriting, and soaring harmonies. Written on the banks of the Caney Fork River in rural Tennessee, this EP captures the spirit and freedom that comes from escaping the rush of the big city and rediscovering the simple things in life. Released on 6.18.13, "Chasing Down The Wind" debuted at the top of the iTunes charts and in the Billboard Top 100.